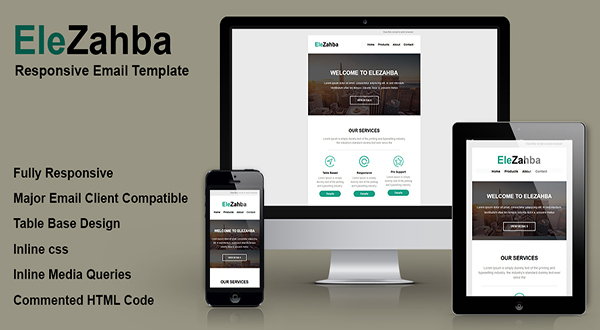 EleZahba is a fully Responsive email template and Created with clean code and it has been tested in major email client. If you have any question, feel free to ask your question in Coments. In the end we are thankful for purchasing our products and your trust. If it is possible, rate this product. We will be very grateful of your rates.